BRYAN EATON/Staff photo. 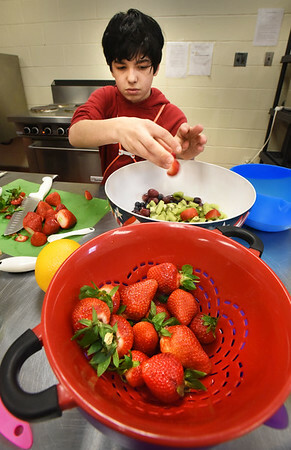 Sebastian Dematteo, 12, of Amesbury makes a fruit salad in the cooking class at the Boys and Girls Club in Salisbury on Tuesday, the theme being breakfast foods, where students also made breakfast burritos and crepes. The club is holding an open house tonight from 6:00-7:30 p.m. for parents to tour the facility along with potential new members and their parents.